I've been under the weather this week, which means tea, soup, and endless episodes of Gilmore Girls on Netflix. I just finished the episode where Rory is kidnapped by the Puffs in her pajamas, and whisked away to Chilton for her initiation. 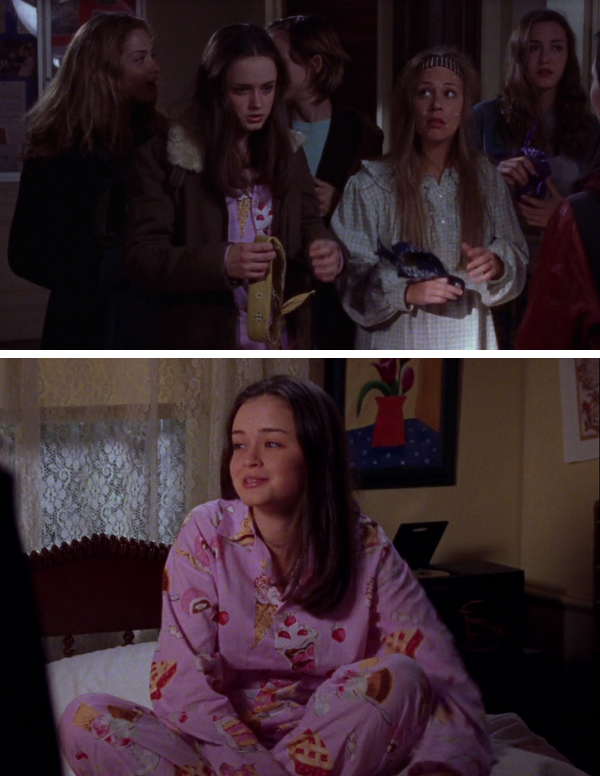 Do any of you diehard Gilmore Girls fans remember the pink cake pajamas Rory wears in this episode? 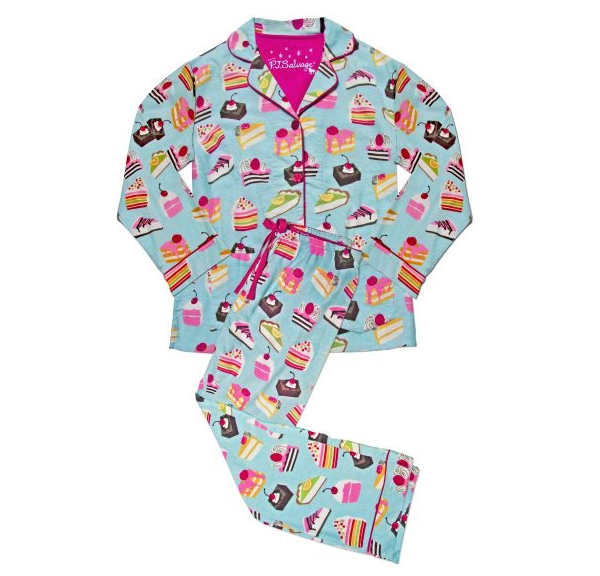 It was the second time in a week I'd spotted cake pajamas—the other time was on Diane's Lingerie's Instagram—and suddenly cake pajamas became an obsession. I had to have them. Never mind that I'm a 30-year-old woman with her own home and a fiancé; I want my former teen idol's sleepwear, damn it. The PJ Salvage cake party flannel pajamas ($85 at Diane's Lingerie; also available at Nordstrom) come the closest to Rory's pink ones. I think I might even prefer them to the original; the blue suits me more and I like the bright colours of the cakes on the PJ Salvage version better. This is the most I've ever spent on pajamas but well worth it: The finishings and soft, thick flannel are a cut above fast fashion sleepwear. Plus, they score extra points for adorable packaging because they come in a pizza box. I'll be back to regularly scheduled posting tomorrow, including some great eyeshadow tips from Diorshow national makeup artist Pascal Grand'Maison. But for now I'm going to snuggle up in cake PJs and watch another episode of Gilmore Girls. See you tomorrow!